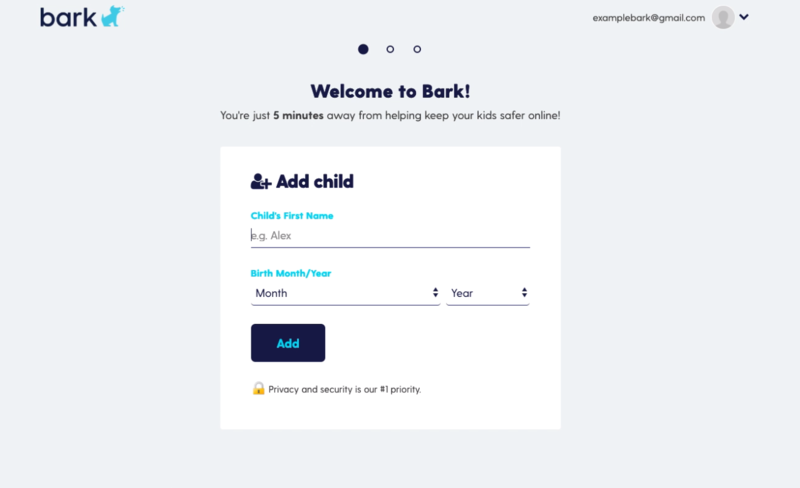 If you were referred by a friend or have a promotion code when signing up with Bark, here is a guide to adding that code at sign-up! Step 4: After entering your child(ren)'s information, you will then be taken to a screen to enter your payment information. 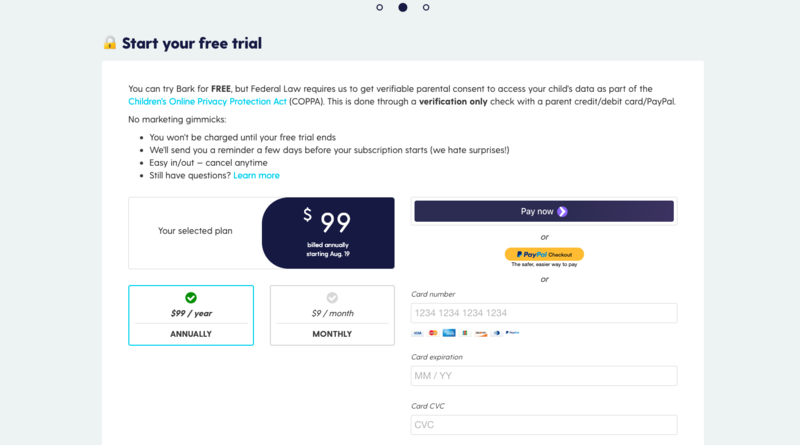 Here, you will see your adjusted payment options with your promotion code accepted. You will not be charged until your trial end date! Wondering what the Children's Online Privacy Protection Act (COPPA) is all about? 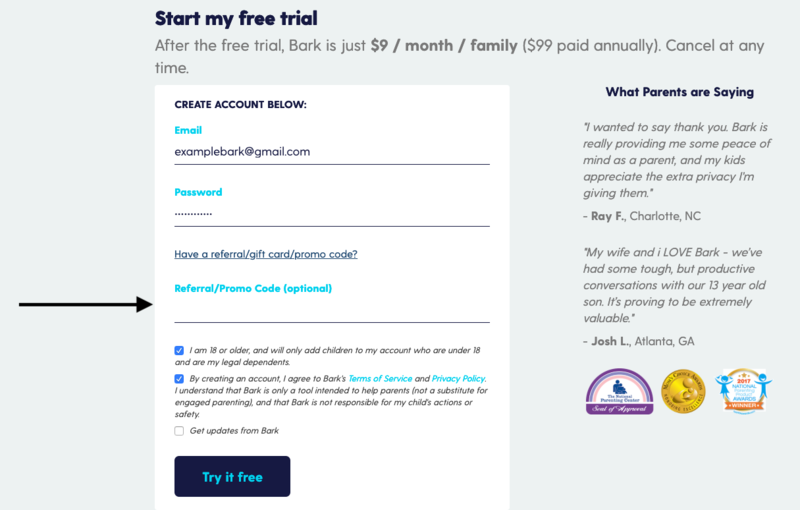 Bark Support is here for you. Please do not hesitate to reach out to us!